Love the different patterns of your dress! 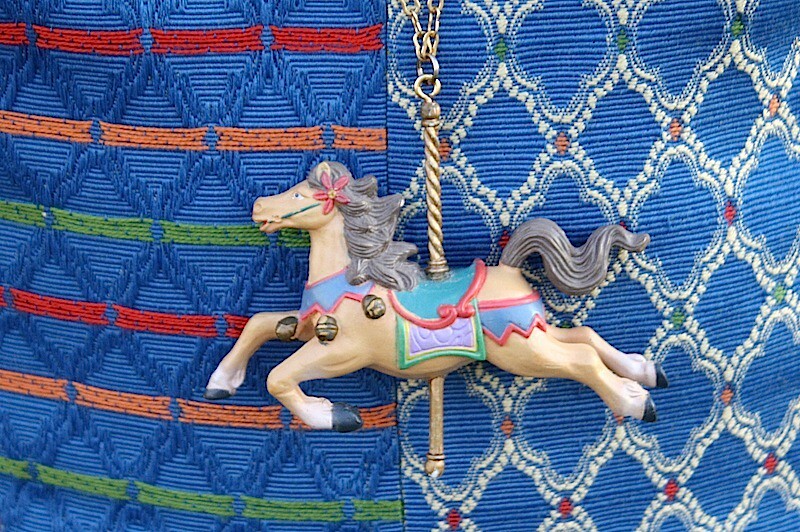 And the necklace is so cute! 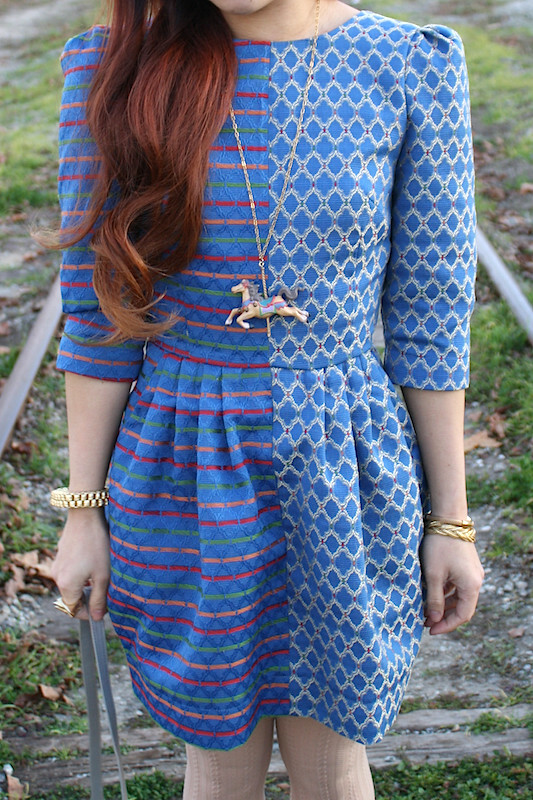 Ha, I just wore this dress on my blog too! Apparently something about it calls out to be worn at Christmas! Anyway, you look lovely! This dress is perfect! And your accessorizing is spot-on! Hello, fantastic dress. And your look is so cute..
lovely outfit and shots - especially the detail in the first one. I'm not surprised to hear that you fell in love with this dress - it's not only beautiful, it looks as though it was made for you. What a perfect location to feature it too. you are so pretty & your outfits embody a timeless sense of style. I love how elegant the dress is / and the quirkiness of switching patterns. 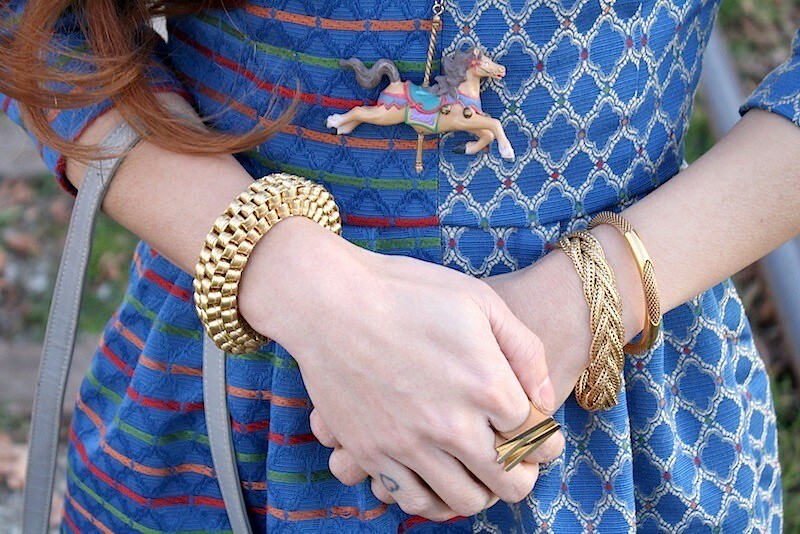 darling dress and love the carousel horse!